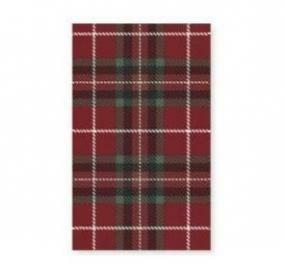 This red and green tartan paper table cover from Duni measures 2.2 metres long x 1.38 m wide. Product exactly as described and exactly what I was looking for. I haven't opened it yet, but it looks fine and just the ticket. It's for my christmas table and as I'm living in Aberdeen I thought tartan would be quite appropriate.....don't you ?